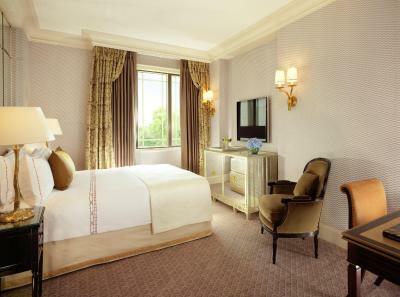 Lock in a great price for The Dorchester - Dorchester Collection - rated 9.1 by recent guests. This is the most beautiful hotel I’ve ever stayed in. Clean and comfortable. The staff were superb. Definitely be back. 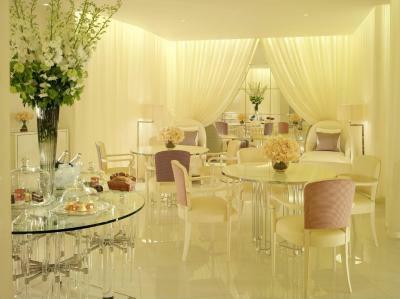 One of our top picks in London.With a spa, Michelin-Starred restaurant and boutique bedrooms, The Dorchester features a landscaped terrace and famous tearooms. 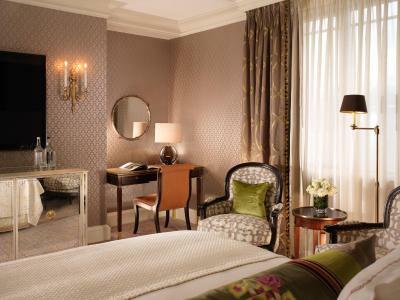 The exclusive hotel overlooks Hyde Park, and is situated in prestigious Mayfair. Free WiFi is available throughout. 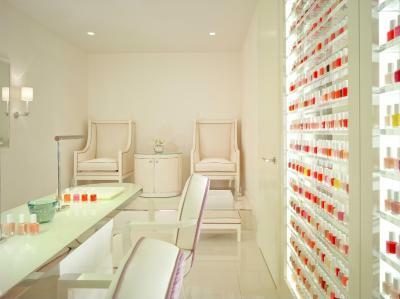 The Dorchester Spa features chandeliers made from South-Pacific pearls, and offers a range of beauty treatments and therapies. 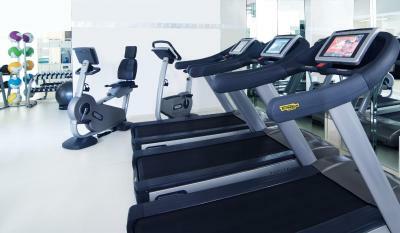 There is also a fitness centre and chic relaxation room. The hotel features floral arrangements, freshly prepared every day. 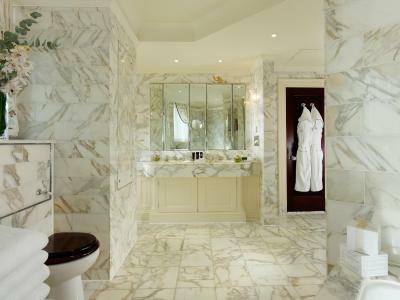 The sumptuous 5-star rooms all feature an Italian-marble bathroom with fluffy bathrobes. 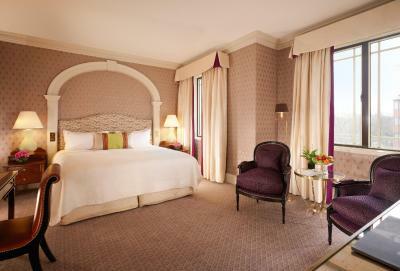 All rooms also have scenic views over Hyde Park or the hotel's terraces. 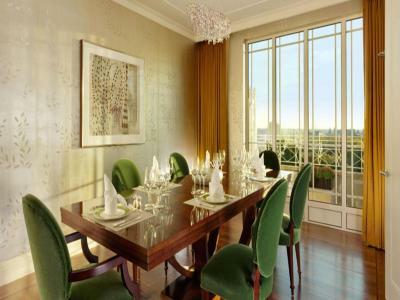 Alain Ducasse serves fine French cuisine, while The Grill offers a modern British menu. 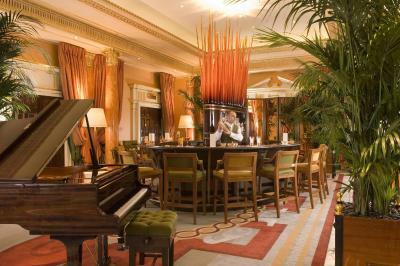 Indulgent afternoon teas are served in The Promenade, and guests can enjoy cocktails and fine spirits in the stylish bars. 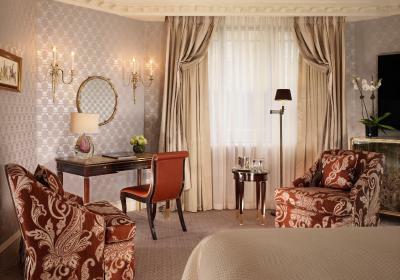 Situated between Marble Arch and Hyde Park Corner, The Dorchester is a 10-minute walk from Knightsbridge. 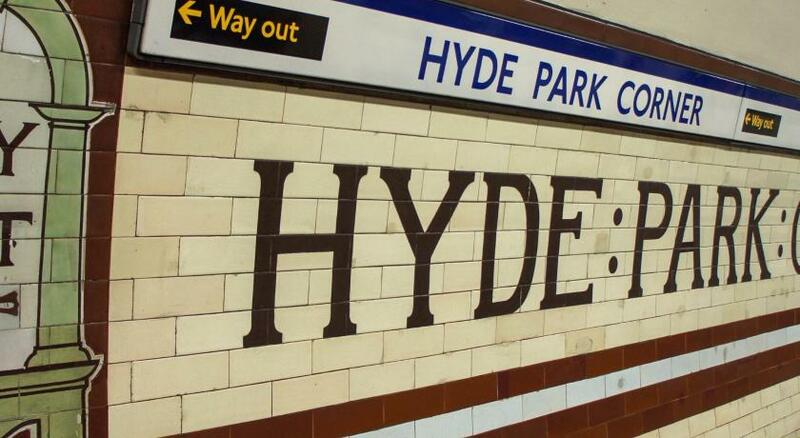 The Museum Mile is a 20-minute walk, and Oxford Street is just a mile away. 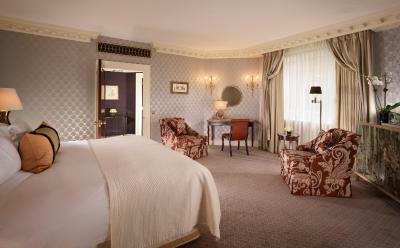 The Dorchester - Dorchester Collection has been welcoming Booking.com guests since 17 Mar 2011. 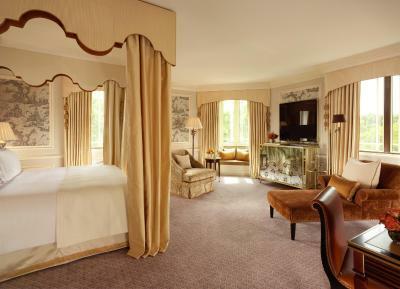 When would you like to stay at The Dorchester - Dorchester Collection? 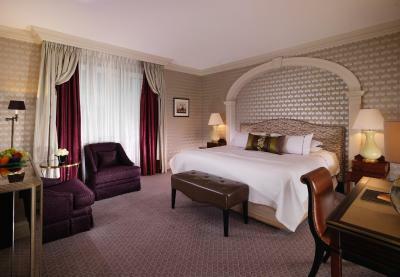 Spacious, quiet rooms overlooking Mayfair. 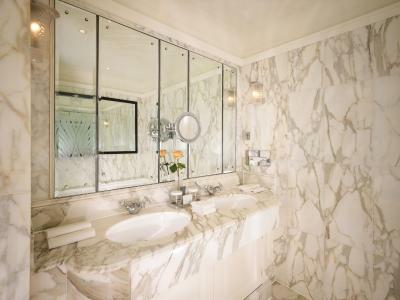 Some have luxury bathrooms with double sinks. 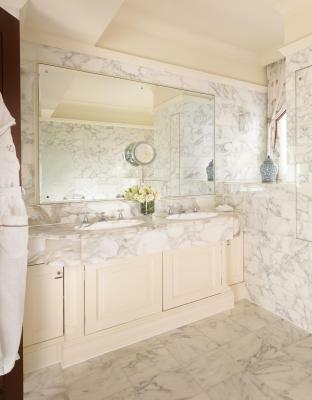 These spacious rooms feature luxury bathrooms with double sinks. 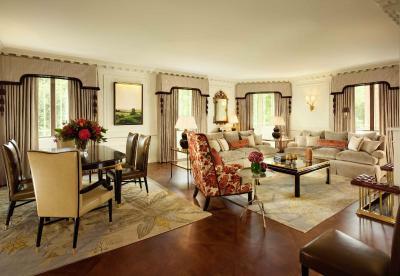 This suite features a bright and spacious sitting room with a dining area and guest bathroom. 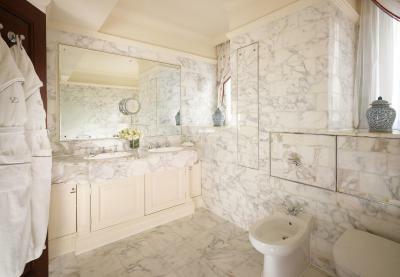 The bedroom also has a large marble bathroom, and can be king-size or twin bedded. 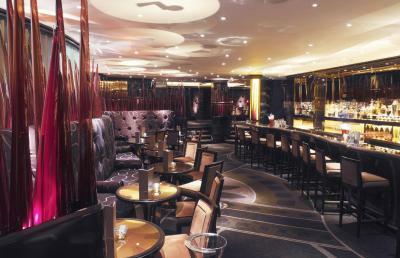 It is located on the front corner of the building, boasting views over Mayfair. 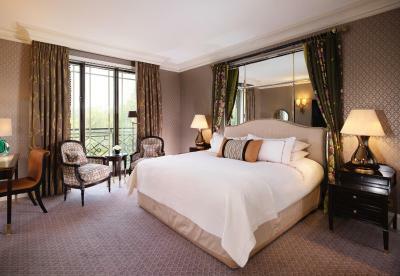 This room overlooks Mayfair and has a queen-size bed, Aromatherapy Associates toiletries, a Bang & Olufsen flat-screen TV, in-room printer/fax/copier and individually controlled air conditioning. 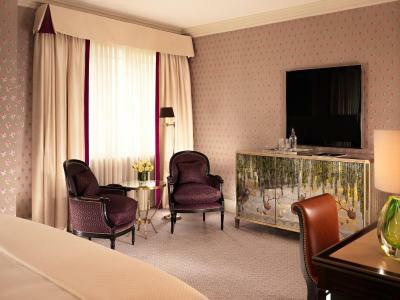 This room overlooks Mayfair and has a king-size bed, Aromatherapy Associates toiletries and two washbasins, a Bang & Olufsen flat-screen TV, an in-room printer/fax/copier and individually controlled air conditioning. 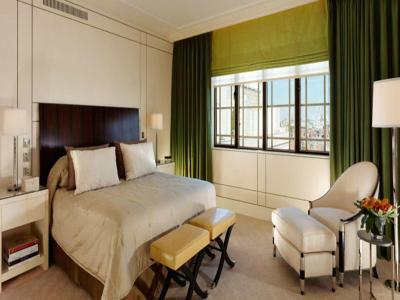 This suite has a king or twin bed and overlooks Mayfair. It has a separate bedroom and sitting room with writing desk, marble bathroom, guest washroom, Aromatherapy Associates toiletries, a Bang & Olufsen flat-screen TV, an in-room printer/fax/copier and individually controlled air conditioning. 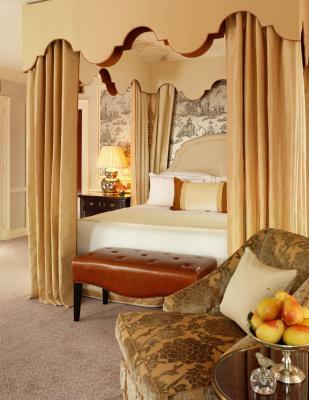 This suite enjoys a four-poster bed and overlooks Park Lane and Hyde Park. 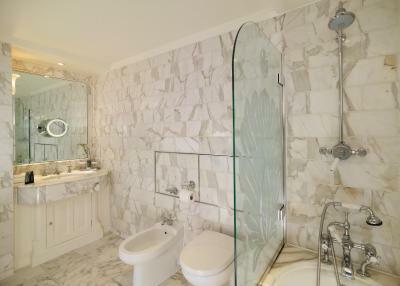 It has a separate sitting room and small dining room area, a marble bathroom, Aromatherapy Associates toiletries, a Bang & Olufsen flat-screen TV, an in-room printer/fax/copier and individually controlled air conditioning. 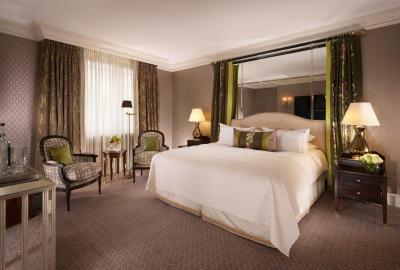 This suite has a king or twin bed and overlooks Hyde Park. It enjoys a wood-paneled sitting room, a dining area, guest bathroom and large master marble bathroom, Aromatherapy Associates toiletries, a Bang & Olufsen flat-screen TV, an in-room printer/fax/copier and individually controlled air conditioning. 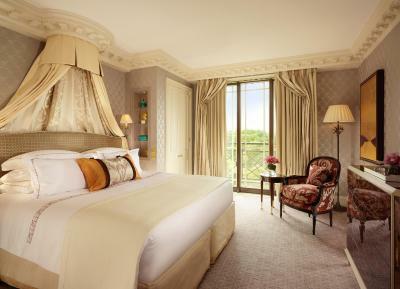 This suite has a four-poster bed and overlooks Hyde Park. 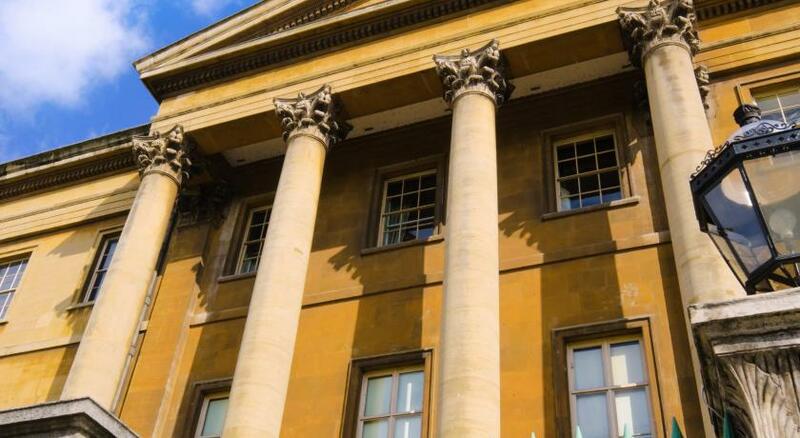 It enjoys a large sitting room, a separate dining room area, a marble en suite bathroom with natural daylight, Aromatherapy Associates toiletries, a Bang & Olufsen flat-screen TV, an in-room printer/fax/copier and individually controlled air conditioning. 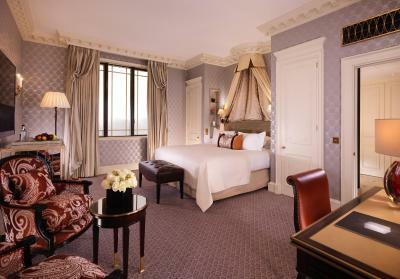 This suite was has a four-poster bed and has an outside terrace from which to enjoys views across London to Westminster. The suite enjoys a sitting room, a cocktail bar, a study, a dressing room, an en suite master bathroom with a Tea For Two bath and Aquavision TV, Big Rain shower and Aromatherapy Associates toiletries. Guests can also enjoy a Bang & Olufsen flat-screen TV, an in-room printer/fax/copier and individually controlled air conditioning. 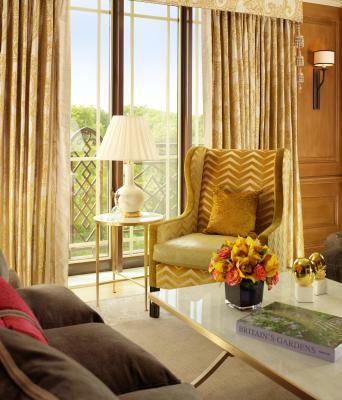 This Suite was designed by Oliver Messel and has a private terrace from which to enjoy views over London. 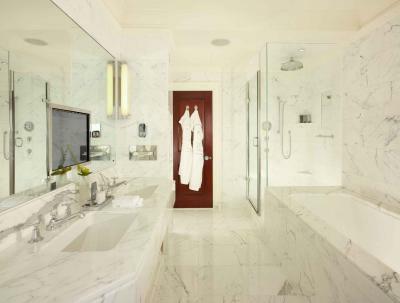 The suite consists of an ante room, a sitting room, double bedroom and bathroom, Aromatherapy Associates toiletries, a Bang & Olufsen flat-screen TV, an in-room printer/fax/copier and individually controlled air conditioning. 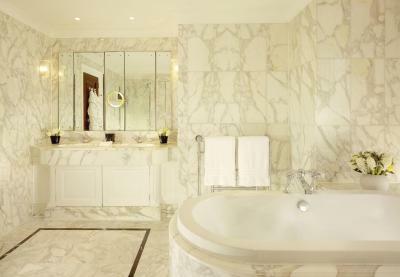 This one bedroom suite overlooks Hyde Park and has a large outside terrace featuring a Zen stone water feature. 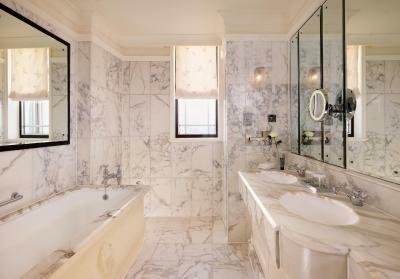 The en suite bathroom has a Chromatherapy Riverbath tub and Aromatherapy Associates toiletries. 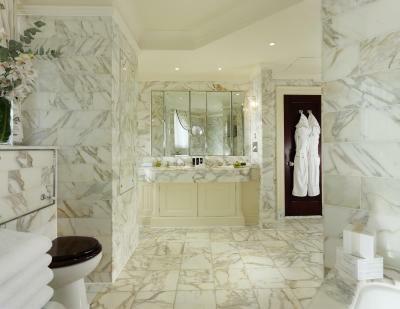 The suite further boasts an octagonal dressing room with high ceilings, a dining room, a sitting room and a bar, a Bang & Olufsen flat-screen TV, an in-room printer/fax/copier and individually controlled air conditioning. 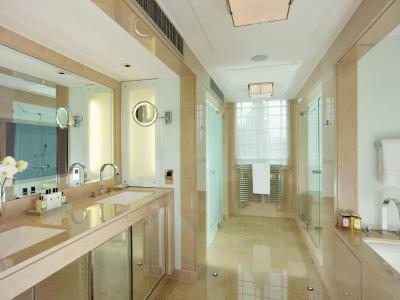 This two-bedroom suite has a large outside terrace that overlooks Hyde Park and a master bedroom with en suite bathroom that features Aromatherapy Associates toiletries. The suite also has a dressing room, a dining room that seats 8, a sitting room, a bar, a Bang & Olufsen flat-screen TV, an in-room printer/fax/copier and individually controlled air conditioning. 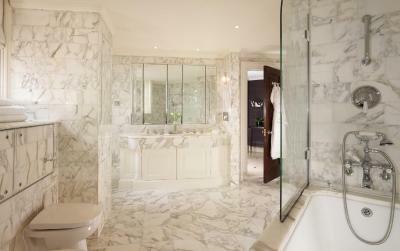 House rules The Dorchester - Dorchester Collection takes special requests - add in the next step! 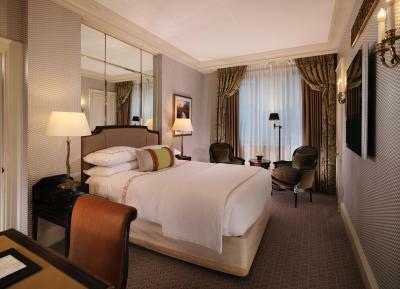 The Dorchester - Dorchester Collection accepts these cards and reserves the right to temporarily hold an amount prior to arrival. Please note that early check-in and late check out can be requested but cannot be guaranteed. To guarantee early access to the room, guests are advised to book their room from the night prior arrival and to inform the property of the expected arrival time when booking. 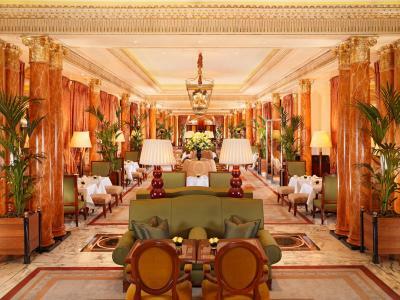 The Dorchester dress code is ‘smart casual’ and the hotel respectfully asks that all guests refrain from wearing baseball or beanie caps, ripped jeans and sportswear including flip-flops and shorts in their restaurants and bars. The towels are the only minor blip, one dirty and one not exactly fluffy and soft! 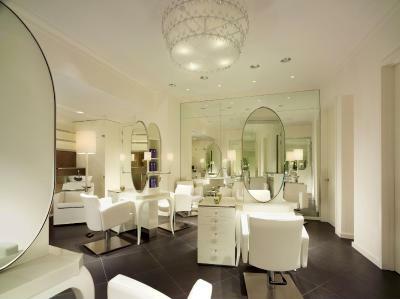 Spa, staff, food , service.